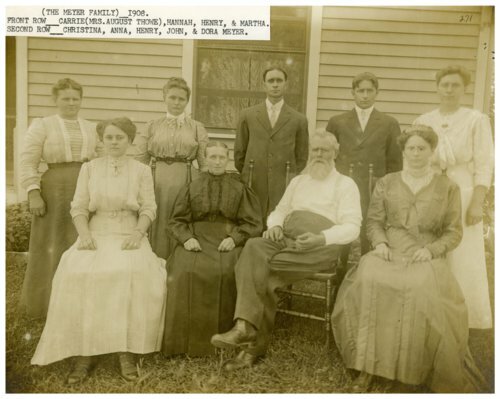 Photograph of the Heinrich "Henry" Meier family taken in front of a residence in Alma, Kansas. Henry's wife, Hannah, is seated on his right. Their children are identified as Carrie, Martha, Christina, Anna, Henry, John, and Dora.